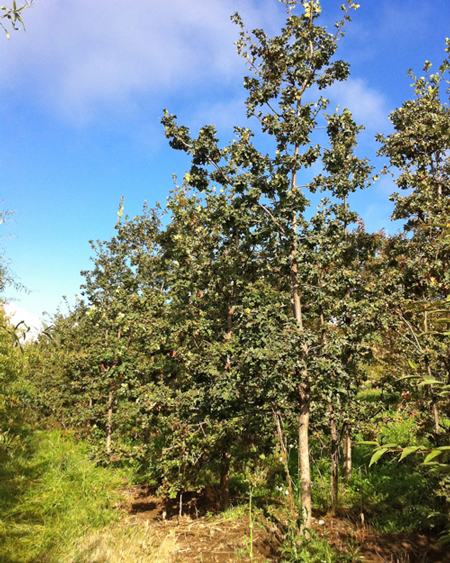 Garry Oak has a slow to moderate growth rate, but will reach forty to as much as ninety feet tall with nearly as much width, in time. This is the native oak with the round-lobed leaves. While too much water will kill this tree- don't plant it in a lawn- some supplemental moisture during hot dry summers will be beneficial. Importantly, provide good drainage and sun.